"Imago Dei" redirects here. For the liberal arts college, see Imago Dei College. The Image of God (Hebrew: צֶלֶם אֱלֹהִים‎, translit. tzelem Elohim‎; Latin: Imago Dei) is a concept and theological doctrine in Judaism, Christianity, and Sufi Islam, which asserts that human beings are created in the image and likeness of God. Philosophers and theologians have debated the exact meaning of the phrase for millennia. Ancient Jewish scholars such as Saadia Gaon and Philo argued that being made in the Image of God does not mean that God possesses human-like features, but rather the statement is figurative language for God bestowing special honor unto humankind, which He did not confer unto the rest of Creation. Likewise Maimonides argues that the faculty of reason enables one to become most God-like when that person develops the capacity to partially grasp the nature of God’s ultimate reality. In Christian thought, the Image of God is intimately linked to the idea of Original Sin. The Image that was present in Adam at creation was partially lost with the Fall of Man, and that through the atoning sacrifice of Jesus on the cross, humans can be reunited with God. Christian writers have stated that despite the Image of God being partially lost, each person fundamentally has value regardless of class, race, gender or disability. Regardless of the exact meaning of being made in the Image of God, the concept is a foundational doctrine of Christianity and Judaism. This is the book of the generations of Adam. In the day that God created man, in the likeness of God made He him. Male and female created He them, and blessed them, and called their name Adam, in the day when they were created. And Adam lived a hundred and thirty years, and begot a son in his own likeness, after his image; and called his name Seth. One who spills the blood of man, through/by man, his blood will be spilled, for in God's image/tselem He made man. The Pseudepigrapha, as intertestamental books and elaborations on Old Testament writings, are helpful in learning of plausible understandings ancient Jewish communities possessed about the Image of God, as mentioned in Genesis 1:27. Although the Pseudepigrapha texts are numerous, the only book noted to make reference to the imago dei is 2 Enoch—namely, 2 Enoch 44:1-3 and 2 Enoch 65:1. And, quite fascinatingly, the text only makes reference to the concept twice, and each time shares a different understanding. 2 Enoch 44:1-3: The Lord with his own two hands created mankind; and in a facsimile of his own face. Small and great the Lord created. Whoever insults a person's face insults the face of the Lord; whoever treats a person's face with repugnance treats the face of the Lord with repugnance. Whoever treats with contempt the face of any person treats the face of the Lord with contempt. (There is) anger and judgement (for) whoever spits on a person's face. According to the translator and/or editor of The Old Testament Pseudepigrapha, this verse has similarities in structure and meaning to Genesis 1:27 and Wisdom of Solomon 6:7, respectively. It is estimated the reference to "small and great" concerned ranking and responsibility. If such an estimation is to be credited as a valuable and acceptable interpretation within this pericope, then it would seem the writer of 2 Enoch 44 is arguing every human being, irrespective of social standing in societies, is an exact copy—a duplicate—of the LORD. Certainly this passage exceeds Genesis 1:27 in its descriptive nature: 2 Enoch 44:1a details how humans are made in God's image—namely, as duplicates of God's "own face." Although it can be argued the reference to God's "own face" is a metaphor for God's likeness, the passage carries the usage of "face" forward by emphasizing what is done to the physical human face is, in turn, done to the face of LORD—and, as is important for this writer, when one damages the face of another human being created in the very exact image of God's face, one damages God's face and will incur the expected consequences of such an offense. This chapter of 2 Enoch almost functions as its own retelling of the creation account, albeit in a very truncated manner. The verse preceding 2 Enoch 65:2 rapidly recounts the nonexistence of any created thing, and then quickly reveals God created everything, whereas the creation of humans may be spoken of and in more detail than the other created things were [addressed]. Interestingly, 2 Enoch 65:2 speaks of humankind's relation to God as "constituted in his own image," while simultaneously noting this image is "a similarity," rather than something that is directly imaging God. This verse is quite similar to Genesis 1:27 in that it acknowledges God made human beings in God's "form," "image," "similarity," or "likeness," but it fails to detail what exactly about human beings distinguishes them from other created things and makes them like God. The Pseudepigrapha's contributions to the discussion of the Imago Dei as presented in Genesis 1:27 surely heighten the controversy concerning interpretation, as it adds ancient select and unidentified voices and perspectives regarding the Imago Dei to the conversation. On the one hand, 2 Enoch 44 offers modern readers the understanding the imago dei is reflected in the face—possibly, simply meaning the very being of a human person—of a human, while 2 Enoch 65, on the other hand, suggests human beings are made in the Image of God, but it, like Genesis 1:27, is not defined and humans are left to figure out its meaning in light of many contexts. When considering extra-biblical texts, the Apocrypha, a collection of non-authoritative texts with a widespread debate about canonicity, contains key insight into understanding Image of God language. The Imago Dei is mentioned scarcely within the Apocrypha. There are only a couple of passages that explicitly use "image" terminology to describe humanity as the Imago Dei: The Wisdom of Solomon 2:23 and Sirach 17:3. The Wisdom of Solomon 2:23 is a continued exhortation to uprightness and Godly living. Wisdom of Solomon 2:23: 23 For God created man to be immortal, and made him to be an image of his own eternity. The Aprocrypha mirrors the language brought about in Genesis 1:26-28, both connecting via making man as likeness and image and also by having dominion over "all flesh". This theme is repeated in Wisdom of Solomon in 1:13-14 and again in 2:23 where the author describes death as being an envious action of the devil and only "those who belong to his company experience it" (2:24). Wisdom of Solomon 2:23: For God created man to be immortal, and made him to be an image of his own eternity. The righteous, because they are made in the image of God, can rest in the full hope of eternal life. The wicked, because they choose to participate in the company of the devil, are subject to death. Sirach 17:1-4 repeats the theme; man is made according to the image of God. Sirach 17:1-4: 1The Lord created man of the earth, and turned him into it again. 2He gave them few days, and a short time, and power also over the thing therein. 3He endued them with strength by themselves, and made them according to his image, 4And put the fear of man upon all flesh, and gave him dominion over beasts and fowls. Sirach adds to the end, that man receives the strength of God. There is much discussion of what it means to say that God created man in His own image and likeness; commentators are divided. The words of vv.3-4, might be taken to favor the view that God gave man dominion over all creation, a share in His own dominion. Another passage in the Apocrypha comes out of 2 Esdras 8:44. In context, this passage is a cry to the Lord declaring favor over humankind. The author compares man, made in the likeness of God, to the farmer's seed, and declares that man is worth more. God would not allow man to reap the same consequences as the farmer's seed when the rain has ceased or flooded. 2 Esdras 8:44: But people, who have been formed by your hands and are called your own image because they are made like you, and for whose sake you have formed all things – have you also made them like the farmer's seed? This is perhaps a mirror of the dominion claim found in Genesis 1:26. According to 2 Esdras, God surrounds man with the creation of the world for the sake of man and thus, he may have mercy on man for he is "called your own image…" (2 Esdras 8:44). There have been many interpretations of the idea of God's image from ancient times until today, and Biblical scholars still have no consensus about the meaning of the term. The remainder of this article focuses on Christian interpretations of the term. To assert that humans are created in the image of God may mean to recognize some special qualities of human nature which allow God to be made manifest in humans. For humans to have a conscious recognition of having been made in the image of God may mean that they are aware of being that part of the creation through whom God's plans and purposes best can be expressed and actualized; humans, in this way, can interact creatively with the rest of creation. The moral implications of the doctrine of Imago Dei are apparent in the fact that, if humans are to love God, then humans must love other humans whom God has created (cf. John 13:35), as each is an expression of God. The human likeness to God can also be understood by contrasting it with that which does not image God, i.e., beings who, as far as we know, are without this spiritual self-awareness and the capacity for spiritual / moral reflection and growth. We may say that humans differ from all other creatures because of the self-reflective, rational nature of their thought processes - their capacity for abstract, symbolic as well as concrete deliberation and decision-making. This capacity gives the human a centeredness and completeness which allows the possibility for self-actualization and participation in a sacred reality (cf. Acts 17:28). However, despite the fact that according to this concept the human is created in God's image, the Creator granted the first true humans a freedom to reject a relationship with the Creator that manifested itself in estrangement from God, as the narrative of the Fall (Adam and Eve) exemplifies, thereby rejecting or repressing their spiritual and moral likeness to God. The ability and desire to love one's self and others, and therefore God, can become neglected and even opposed. The desire to repair the Imago Dei in one's life can be seen as a quest for a wholeness, or one's "essential" self, as described and exemplified in Christ's life and teachings. According to Christian doctrine, Jesus acted to repair the relationship with the Creator and freely offers the resulting reconciliation as a gift. and translated us into the Kingdom of the Son of his love; 14 in whom we have our redemption, the forgiveness of our sins; 15 who is the image of the invisible God, the firstborn of all creation. 7 For a man ought not to have his head covered, since he is God's image and glory; but the woman is the glory of the man. 18 But we all with unveiled face, beholding and reflecting like a mirror the glory of the Lord, are being transformed into the same image from glory to glory, even as from the Lord Spirit. that the light of the Gospel of the glory of Christ, who is the image of God, should not dawn on them. 5 For we don't preach ourselves, but Christ Jesus as Lord, and ourselves as your servants for Jesus' sake; 6 seeing it is God who said, "Light will shine out of darkness," who has shone in our hearts, to give the light of the knowledge of the glory of God in the face of Jesus Christ. The image was the human's natural resemblance to God, the power of reason and will. The likeness was a donum superadditum—a divine gift added to basic human nature. This likeness consisted of the moral qualities of God, whereas the image involved the natural attributes of God. When Adam fell, he lost the likeness, but the image remained fully intact. Humanity as humanity was still complete, but the good and holy being was spoiled. The image of God and the likeness are similar, but at the same time they are different. The image is just that, mankind is made in the image of God, whereas the likeness is a spiritual attribute of the moral qualities of God. Medieval theologians made a distinction between the image and likeness of God. The former referred to a natural, innate resemblance to God and the latter referred to the moral attributes (God's attributes) that were lost in the fall. Since about the time of the Reformation, scholars have recognized that this [image/likeness distinction] does not suit the text itself. First, there is no "and" joining "in our image" with "after our likeness." Second, in Genesis 1:27 we find simply "in God's image"; and finally, in Genesis 5:1 God made man "in the likeness of God." The best explanation for these data is to say that "in the image" and "after the likeness" refer to the same thing, with each clarifying the other. Clarification: 'Image and likeness' is a 'Hebraism'. It is common in speech and writing to repeat an idea using two different words to give reinforcement to the given idea. In this case the author did not intend to distract us from the idea but rather to insert a focal point. Scholars still debate the extent to which external cultures influenced the Old Testament writers and their ideas. Mesopotamian epics contain similar elements in their own stories, such as the resting of the deity after creation. Many Mesopotamian religions at the time contained anthropomorphic conceptions of their deities, and some scholars have seen this in Genesis's use of the word "image." There is some evidence that "imago dei" language appeared in many Mesopotamian and Near Eastern cultures where kings were often labeled as images of certain gods or deities and thus, retained certain abilities and responsibilities, such as leading certain cults. This is historically evident in how ancient Egyptians often worshiped their pharaohs as gods, or the human "images" of their deities. Christianity quickly came into contact with the philosophical trends and ideas of the Greek-speaking Mediterranean, as displayed in Acts. Some Christians sought to marry Greco-Roman philosophy with Jewish tradition in an effort to appeal to Gentiles and explain the existence of Christ. Just as some Christians argued that the Old Testament prophecies had prepared Jews for Christ, others argued that the classic philosophers also paved the way for Christian revelation for Gentiles. 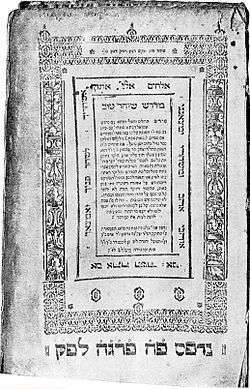 This attempt to bridge the gap between Judaism and classical philosophy is evident in the writings of philosophers such as Justin Martyr, Clement of Alexandria, and Augustine, who argued on the behalf of retaining the good aspects of philosophy in conjunction with the Jewish origins of Christianity. The influence of Greco-Roman philosophy, particularly Neo-Platonic, is evident in Augustine's assertion that the human mind was the location of humanity, and thus the location of the image of God. Philosophy once again had a significant effect on Western Christian theology in medieval Europe after the re-discovery and translation of ancient texts. Aristotelian philosophy and an emphasis on applying rationality and reason to theology played a part in developing scholasticism, a movement whose main goals were to establish systematic theology and illustrate why Christianity was inherently logical and rational. Thomas Aquinas used Aristotelian presuppositions to make rational arguments for the existence of God, as well as aspects of creation, morality, and Christian anthropology, such as the image of God in human beings. Reformation theologians, like Martin Luther, focused their reflections on the dominant role mankind had over all creation in the Garden of Eden before the fall of man. The Imago Dei, according to Luther, was the perfect existence of man and woman in the garden: all knowledge, wisdom and justice, and with peaceful and authoritative dominion over all created things in perpetuity. Luther breaks with Augustine of Hippo's widely accepted understanding that the image of God in man is internal; it is displayed in the trinity of the memory, intellect and will. In the Modern Era, the Image of God was often related to the concept of "freedom" or "free will" and also relationality. Emil Brunner, a twentieth century Swiss Reformed theologian, wrote that "the formal aspect of human nature, as beings 'made in the image of God", denotes being as Subject, or freedom; it is this which differentiates humanity from the lower creation." He also sees the relationship between God and humanity as a defining part of what it means to be made in God's image. Paul Ricoeur, a twentieth century French philosopher best known for combining phenomenological description with hermeneutics, argued that there is no defined meaning of the Imago Dei, or at the very least the author of Genesis 1 "certainly did not master at once all its implicit wealth of meaning." He went on to say that "In the very essence of the individual, in terms of its quality as a subject; the image of God, we believe, is the very personal and solitary power to think and to choose; it is interiority." He eventually concluded that the Image of God is best summed up as free will. Pope Benedict XVI wrote that the image of God has to do with relationality. Regarding the Imago Dei, he writes, "Its nature as an image has to do with the fact that it goes beyond itself and manifests something that it is not….It is the dynamic that sets the human being in motion towards the totally Other. Hence it means the capacity for relationship; it is the human capacity for God." The twentieth and early twenty-first centuries saw the image of God being applied to various causes and ideas including ecology, disabilities, gender, and post/transhumanism. Often these were reactions against prevailing understandings of the Imago Dei, or situations in which the Biblical text was being misused in the opinion of some. While some would argue this is appropriate, J. Richard Middleton argued for a reassessment of the Biblical sources to better understand the original meaning before taking it out of context and applying it. Instead of various extra-biblical interpretations, he pushed for a royal-functional understanding, in which "the imago Dei designates the royal office or calling of human beings as God's representatives or agents in the world." In Christian theology there are three common ways of understanding the manner in which humans exist in Imago Dei: Substantive, Relational and Functional. In "Creation of Adam," Michelangelo provides a great example of the substantive view of the imago of God through the mirroring of the human and the divine. The substantive view locates the image of God within the psychological or spiritual makeup of the human being. This view holds that there are similarities between humanity and God, thus emphasizing characteristics that are of shared substance between both parties. Some proponents of the substantive view uphold that the rational soul mirrors the divine. According to this mirroring, humanity is shaped like the way in which a sculpture or painting is in the image of the artist doing the sculpting or painting. While the substantive view locates the image of God in a characteristic or capacity unique to humanity, such as reason or will, the image may also be found in humanity's capacity to have a relationship with the divine. Unlike the relational view, humanity's capacity to have a relationship with the divine still locates the image of God in a characteristic or capacity that is unique to humanity and not the relationship itself. What is important is that the substantive view sees the image of God as present in humanity whether or not an individual person acknowledges the reality of the image or not. Issues surrounding "the fall" and "original sin" often became a crucial points of contention among Christian theologians seeking to understand the image of God. The substantive view of the image of God has held particular historical precedence over the development of Christian Theology particularly among early Patristic Theologians (see Patristics), like Irenaeus and Augustine, and Medieval Theologians, like Aquinas. Irenaeus, unlike later Reformation Theologians, believes that the essential nature of humanity was not lost or corrupted by the fall, but the fulfillment of humanity's creation, namely freedom and life, was to be delayed until "the filling out the time of [Adam's] punishment." Irenaeus also draws a sharp line between image and likeness. Humankind before the fall (see Fall of Man) was in the image of God through the ability to exercise free will and reason. And we were in the likeness of God through an original spiritual endowment. While Irenaeus represents an early assertion of the substantive view of the image of God, the specific understanding of the essence of the image of God is explained in great detail by Augustine, a fifth century theologian who describes a Trinitarian formula in the image of God. Augustine's Trinitarian structural definition of the image of God includes memory, intellect, and will. According to Augustine, "will […] unites those things which are held in the memory with those things which are thence impressed on the mind's eye in conception." Augustine believed that, since humanity reflects the nature of God, humanity must also reflect the Triune nature of God. Augustine's descriptions of memory, intellect, and will held a dominant theological foothold for a number of centuries in the development of Christian Theology. Aquinas, a medieval theologian writing almost 700 years after Augustine, builds on the Trinitarian structure of Augustine but takes the Trinitarian image of God to a different end. Like Irenaeus and Augustine, Aquinas locates the image of God in humanity's intellectual nature or reason, but Aquinas believes that the image of God is in humanity in three ways. First, which all humanity possess, the image of God is present in humanity's capacity for understanding and loving God, second, which only those who are justified possess, the image is present when humanity actually knows and loves God imperfectly, and thirdly, which only the blessed possess, the image is present when humanity knows and loves God perfectly. Aquinas, unlike Augustine, sees the image of God as present in humanity, but it is only through humanity's response to the image of God that the image is fully present and realized in humanity. Medieval scholars suggested that the holiness (or "wholeness") of humankind was lost after the fall, though free will and reason remained. John Calvin and Martin Luther agreed that something of the Imago Dei was lost at the fall but that fragments of it remained in some form or another, as Luther's Large Catechism article 114 states, "Man lost the image of God when he fell into sin." Hebrew Midrashim depicts the image of God in democratic or universal terms. Furthermore, rabbinic Midrash focuses on the function of image of God in kingship language. While a monarch is cast in the image or likeness of God to differentiate him ontologically from other mortals, Torah's B'reishit portrays the image as democratic: every human is cast in God's image and likeness. This leveling effectively embraces the substantive view and likens humankind to the earthly presence of God. Yet it should be noted that this immanent presence enjoys the ambiguity of midrashim; it is never outrightly characterized as "Godlike," as in ontologically equivalent to God, or merely "Godly," as in striving towards ontological equivalency. The rabbinic substantive view, conversely, does not operate out of the framework of original sin. In fact, the account of Adam and Eve disobeying God's mandate is neither expressly rendered as "sin" in B'reishit, nor anywhere else in Torah for that matter. It is instead likened to a "painful but necessary graduation from the innocence of childhood to the problem-laden world of living as morally responsible adults." That God fashions garments for Adam and Eve out of skins (Gen 3:21), is cited as proof of God's quickly fading anger. Midrashim, however, finds common ground with the Thomist view of humanity's response to the image of God in the stories of Cain and Abel filtered through the, "Book of Genealogies" (Gen 5:1-6:8). Insofar as the image and likeness of God is transmitted through the act of procreation, Cain and Abel provide examples of what constitutes adequate and inadequate response to the image, and how that image either becomes fully actualized or utterly forsaken. The murder of Cain is cast as preempting the perpetuation of the image through Abel's potential descendants. This idea may be likened to the Christian idea of "original sin" in that one's transgression is seen to have grave unintended, or unforeseen, repercussions. Midrashim interprets Gen 4:10 as Abel's blood crying out not only to God, but also "against" Cain, which lays the onus squarely on Adam's firstborn. The relational view argues that one must be in a relationship with God in order to possess the 'image' of God. Those who hold to the relational image agree that humankind possess the ability to reason as a substantive trait, but they argue that it is in a relationship with God that the true image is made evident. Later theologians like Karl Barth and Emil Brunner argue that it is our ability to establish and maintain complex and intricate relationships that make us like God. For example, in humans the created order of male and female is intended to culminate in spiritual as well as physical unions Genesis 5:1-2, reflecting the nature and image of God. Since other creatures do not form such explicitly referential spiritual relationships, these theologians see this ability as uniquely representing the imago dei in humans. The functional view interprets the image of God as a role in the created order, where humankind is a king or ruler over creation/the earth. This view, held by most modern Old Testament/Hebrew Bible scholars, developed with the rise of modern Biblical scholarship and is based on comparative Ancient Near Eastern studies. Archaeology discovered many texts where specific kings are exalted as "images" of their respective deities and rule based on divine mandate. The functional approach states that Genesis 1 uses that common idea, but the role is broadened to all humanity who reflect the image through ruling the created order, specifically land and sea animals, according to the pattern of God who rules over the entire universe. With the rise of contemporary ecological concerns the functional interpretation of the image of God has grown in popularity. Some modern theologians are arguing for proper religious care of the earth based on the functional interpretation of the image of god as caregiver over created order. Thus, exerting dominion over creation is an imperative for responsible ecological action. One of the strongest criticisms of the functional interpretation of the imago Dei is the negative message that it conveys about persons with disabilities. Within the functional view, it is often thought that disabilities which interfere with one's capacity to "rule," whether physical, intellectual, or psychological, are a distortion of the image of God. This view isolates and excludes those with disabilities, and some theologians even use it to go so far as to state that animals more fully display the Image of God than people with profound disabilities. The Imago Dei concept had a very strong influence on the creation of human rights. Glen H. Stassen argues that both the concept and the term human rights originated more than a half-century before the Enlightenment thinkers like John Locke. Imago Dei in reference to religious liberty of all persons was used by the free churches (Dissenters) at the time of the Puritan Revolution as an affirmation of the religious liberty of all persons. The concept was based not only on natural reason but also on the Christian struggle for liberty, justice, and peace for all. The background of this struggle lay in the time of the English Revolution. The king had been alienating many Christians by favoring some churches over others. According to the scholar of Puritan literature William Haller, "the task of turning the statement of the law of nature into ringing declaration of the rights of man fell to Richard Overton." Richard Overton was a founding member of the Leveller movement that first argued for human rights as belonging to all human persons. One of the themes that foreshadowed Richard Overton's reason for giving voice to human rights, especially the demand for separation of church and state, is implicitly connected to the concept of the image of God. This was expressed in the Confession of Faith (1612) by the Puritan group living in Amsterdam. "That as God created all men according to his image [...]. That the magistrate is not to force or compel men to this or that form of religion, or doctrine but to leave Christian religion free, to every man's conscience [...]." Reformed theologian Jürgen Moltmann proposed an ecumenical basis for a concept of human rights using imago Dei for the World Alliance of Reformed Churches in 1970. Moltmann understands humans as in a process of restoration toward the original imago Dei given in creation. Human rights entail whatever humans need in order to best act as God's divine representatives in the world. All human beings are created in God's image, rather than only a ruler or a king. Any concept of human rights will therefore include: first, democratic relationships when humans rule others, cooperation and fellowship with other humans, cooperation with the environment, and the responsibility for future generations of humans created in God's image. Judaism holds the essential dignity of every human. One of the factors upon which this is based is an appeal to Imago Dei: "the astonishing assertion that God created human beings in God's own 'image.'" In the Midrash Mekhilta D'Rabi Ishmael, the First of the Ten Commandments is held in parallel with the Sixth Commandment: "I am the LORD your God," and "Do not murder." Harming a human is likened to attacking God. Interpretation of the relationship between the Imago Dei and the physical body has undergone considerable change throughout the history of Jewish and Christian interpretation. Old Testament scholars acknowledge that the Hebrew word for "image" in Genesis 1 (selem) often refers to an idol or physical image. While the physicality of the image may be of prime importance, because Ancient Israelites did not separate between the physical and spiritual within the person, it is appropriate to think of selem as originally incorporating both physical and spiritual components. The Apostle Paul at times displays both an appreciation for and a denial of the physical body as the image of God. An example of the importance of the physical body and the Imago Dei can be found in 2 Corinthians 4:4, in which Paul claims that Jesus Christ, in his entire being, is the image of God. Paul states that in proclaiming Jesus, the renewal of the image of God is experienced, not just eschatologically but also physically (cf. vv 10-12,16). In 2 Corinthians 4:10, Paul states that Christians are "always carrying the death of Jesus, so that the life of Jesus may also be made visible in our bodies." However, in v. 16 he states that though the external body is "wasting away," the inner being is renewed each day. In sum, for Paul it seems that being restored in Christ and inheriting the Image of God leads to an actual corporeal change. As one changes internally, so too does one's body change. Thus, the change affected by Jesus envelopes one's entire being, including one's body. Many theologians from the patristic period to the present have relied heavily on an Aristotelian structure of the human as an inherently "rational animal," set apart from other beings. This view was combined with Pre-Socratic notions of the "divine spark" of reason. Reason was thought to be equated with immortality, and the body with mortality. J. R. Middleton contends that Christian theologians have historically relied more on extra-biblical philosophical and theological sources than the Genesis text itself. This led to an exclusion of the body and a more dualistic understanding of the image found in dominant Christian theology. Irenaeus was unique for his time in that he places a great deal of emphasis on the physicality of the body and the Image of God. In his Against Heresies, he writes "For by the hands of the Father, that is by the Son and the Holy Spirit, man, and not a part of man, was made in the likeness of God." For Irenaeus, our actual physical body is evident of the image of God. Further, because the Son is modeled after the Father, humans are likewise modeled after the Son and therefore bear a physical likeness to the Son. This implies that humans' likeness to God is revealed through embodied acts. Humans do not currently just exist in the pure image of God, because of the reality of sin. Irenaeus claims that one must "grow into" the likeness of God. This is done through knowingly and willingly acting through one's body. Because of sin, humans still require the Son's salvation, who is in the perfect image of God. Because we are physical beings, our understanding of the fullness of the image of God did not become realized until the Son took physical form. Further, it is through the Son's physicality that he is able to properly instruct us on how to live and grow into the full image of God. Jesus, in becoming physically human, dying a human death, and then physically resurrected, "recapitulated," or fully revealed, what it means to be in the Image of God and therefore bears the full restoration of our being in God's image. By so doing, Jesus becomes the new Adam and through the Holy Spirit restores the human race into its fullness. Throughout the 20th and 21st centuries, a small population of theologians and church leaders have emphasized a need to return to early monastic spirituality. Thomas Merton, Parker Palmer, Henri Nouwen, and Barbara Brown Taylor, among others, draw from aspects of mystical theology, central to the Christian desert ascetics, in order to provide theological frameworks which positively view the physical body and the natural world. For early mystics, the Imago Dei included the physical body as well as the whole of creation. Upon seeing a void in the development of Western theology, modern writers have begun drawing upon works of third century monks the desert mothers and fathers, as well as various gnostic systems, providing a more comprehensive view of the body in early Christian thought and reasons why modern theology should account for them. Similarly, feminist thinkers have drawn attention to the alienation of the female experience in Christian thought. For centuries, the female body has only been recognized as a means to separate women from men and to categorize the female body as inferior and the masculine as normative. In an attempt to eliminate such prejudice, feminist scholars have argued that the body is critical for self-understanding and relating to the world. Furthermore, bodily phenomena typically associated with sin and taboo (e.g. menstruation), have been redeemed as essential pieces of the female experience relatable to spirituality. Feminism attempts to make meaning out of the entire bodily experience of humanity, not just females, and to reconcile historical prejudices by relating to God through other frameworks. The understanding of Imago Dei has come under new scrutiny when held up against the movement of transhumanism which seeks to transform the human through technological means. Such transformation is achieved through pharmacological enhancement, genetic manipulation, nanotechnology, cybernetics, and computer simulation. Transhumanist thought is grounded in optimistic Enlightenment ideals which look forward to the Technological Singularity, a point at which humans engineer the next phase of human evolutionary development. Transhumanism's assertion that the human being exist within the evolutionary processes and that humans should use their technological capabilities to intentionally accelerate these processes is an affront to some conceptions of Imago Dei within Christian tradition. In response, these traditions have erected boundaries in order to establish the appropriate use of trashumanisic technologies using the distinction between therapeutic and enhancement technologies. Therapeutic uses of technology such as cochlear implants, prosthetic limbs, and psychotropic drugs have become commonly accepted in religious circles as means of addressing human frailty. Nevertheless, these acceptable technologies can also be used to elevate human ability. Further, they correct the human form according to a constructed sense of normalcy. Thus the distinction between therapy and enhancement is ultimately questionable when addressing ethical dilemmas. Human enhancement has come under heavy criticism from Christians; especially the Vatican which condemned enhancement as "radically immoral" stating that humans do not have full right over their biological form. Christians concerns of humans "playing God" are ultimately accusations of hubris, a criticism that pride leads to moral folly, and a theme which has been interpreted from the Genesis accounts of Adam and Eve and the Tower of Babel. In these stories, God was in no real danger of losing power; however, Patrick D. Hopkins has argued that, in light of technological advancement, the hubris critique is changing into a Promethean critique. According to Hopkins, "In Greek myth, when Prometheus stole fire, he actually stole something. He stole a power that previously only the gods had." Within progressive circles of Christian tradition transhumanism has not presented a threat but a positive challenge. Some theologians, such as Philip Hefner and Stephen Garner, have seen the transhumanist movement as a vehicle by which to re-imagine the Imago Dei. Many of these theologians follow in the footsteps of Donna Haraway's "Cyborg Manifesto." The manifesto explores the hybridity of the human condition through the metaphor of the cyborg. While the biological flesh/machine cyborg of pop culture is not a literal reality, Haraway uses this fictional metaphor to highlight the way that "all people within a technological society are cyborgs." Building off of Haraway's thesis, Stephen Garner engages the apprehensive responses to the metaphor of the cyborg among popular culture. For Garner, these "narratives of apprehension" found in popular movies and television are produced by "conflicting ontologies of the person." The cyborg represents a crossing and blurring of boundaries that challenges preconceived notions of personal identity. Therefore, it is understandable that a person's first reaction to the image of a cyborg would be apprehension. For Garner, the wider scope of Haraway's "cultural cyborg" can be characterized by the term "hybridity." According to Elaine Graham, hybridity does not only problematize traditional conception of human as the image of God, but also makes terms like "natural" problematic. There is no longer a clear line between the old dualities of human/machine, human/environment, and technology/environment. Brenda Brasher thinks that this revelation of the hybridity of human nature present insurmountable problems for scriptural based theological metaphors bound in "pastoral and agrarian imagery." Garner, however sees a multitude of metaphors within Christian tradition and scripture that already speak to this reality. He says, that in the three major areas of hybridity in Christianity are eschatology, Christology, and theological anthropology. In eschatology Christians are called to be both in the world but not of the world. In Christology Jesus Christ is a cyborg with his divine/human natures. Finally, in theological anthropology the hybridity of human nature is seen in the concept of the imago of God itself. Humans are both formed "from the dust," and stamped with the divine image. David J.A. Clines, "The Image of God in Man," Tyndale Bulletin 19 (1968): 53-103. "Communion and Stewardship: Human Persons Created in the Image of God". International Theological Commission. Retrieved January 14, 2014. ↑ Bukhari, Isti'zan, 1; Muslim, Birr, 115, Muslim, Jannah, 28. ↑ Yahya Michot: "The image of God in humanity from a Muslim perspective" in Norman Solomon, Richard Harries and Tim Winte (ed. ): Abraham's Children: Jews, Christians and Muslims in conversation p. 163-74. New York 2005, T&T Clark. 1 2 Millard J. Erickson, Christian Theology, 2nd ed. (Grand Rapids: Baker Book House, 1998), 522. ↑ Gerhard Wehemeier, "Deliverance and Blessing in the Old and New Testament," Indian Journal of Theology 20 (1971): 30-42. ↑ Collins, C. John, Genesis 1-4: A Linguistic, Literary, and Theological Commentary (Phillipsburg, NJ: P&R Publishing, 2006), 62. ↑ Emil Brunner, The Christian Doctrine of Creation and Redemption: Dogmatics, Vol.2, Olive Wyon, trans., (London: Lutterworth Press, 1952), 55-58. ↑ Joesph Ratzinger [Pope Benedict XVI], "In the Beginning: A Catholic Understanding of the Story of Creation and the Fall, (Grand Rapids, MI: Eerdmans, 1995), 44-45, 47. ↑ Elaine Graham, "In Whose Image? Representations of Technology and the 'Ends' of Humanity," Ecotheology 11.2 (2006) 159-182. ↑ Millard J. Erickson, Christian Theology, (Grand Rapids, MI: Baker Book House, 1994), 498-510. ↑ Millard J. Erickson, Introducing Christian Doctrine, 2nd ed. (Grand Rapids: Baker Book House, 2001), 172-175. ↑ Akin, Daniel L. "A Theology for the Church." Nashville: B & H Publishing Group, 2007, p. 387. ↑ Davis, Ellen F. (2009). Scripture, Culture, and Agriculture: an Agrarian reading of the Bible. New York: Cambridge University Press. ISBN 0521518342. ↑ Greenspoon, Leonard J. (January 1, 2008). "From Dominion to Stewardship? The Ecology of Biblical Translation". Journal of Religion & Society. ↑ Deland, Jane S. (1999-09-24). "Images of God Through the Lens of Disability". Journal of Religion, Disability & Health. doi:10.1300/J095v03n02_06. ↑ Eiesland, Nancy L. (1994). The Disabled God: Toward a Liberatory Theology of Disability. Nashville: Abingdon Press. ISBN 0687108012. ↑ McCord, James I. (1977). Miller, Allen O., ed. A Christian Declaration on Human Rights. Grand Rapids, MI: Eerdmans. p. 7. ↑ Eugene B. Borowitz, "The Torah, Written and Oral, and Human Rights: Foundations and Deficiencies," in Ethics of World Religions and Human Rights Concilium 2. London and Philadelphia: SCM Press and Trinity Press International, 1990, Küng, Hans and Jürgen Moltmann, eds., 26. ↑ Clark, Kelly James (2012). Abraham's Children: Liberty and Tolerance in an Age of Religious Conflict. New Haven and London: Yale University Press. pp. 14, 17. ISBN 9780300179378. ↑ Taylor, Barbara Brown(2009), An Altar in the World San Francisco:Harper Collins, pp. 35-51. ↑ Harmless, William (2004) Desert Christians: An Introduction to the Literature of Early Monasticism New York: Oxford University Press. p. 19. ↑ International Theological Commission (2002). "Communion and stewardship: human persons created in the image of God". ↑ Hopkins, P. D. (2002). Protecting God from science and technology: how religious criticisms of biotechnologies backfire. Zygon, 37(2), 317-343. Day, John (2013). From Creation to Babel: Studies in Genesis 1–11. London: Bloomsbury. ISBN 9780567215093. Garner, Stephen (2011). "The hopeful cyborg". In Ronald Cole-Turner. Transhumanism and Transcendence: Christian Hope in an Age of Technological Enhancement. Washington, DC: Georgetown University Press. Grenz, Stanley J. (2001). The Social God and the Relational Self. Louisville, KY: Westminster John Knox Press. ISBN 066422203X. Haslam, Molly (2012). "Imago dei as rationality or relationality: history and construction". A Constructive Theology of Intellectual Disability: Human Being as Mutuality and Response. New York, NY: Fordham Press. pp. 92–116. ISBN 9780823239405. Lieber, David L., ed. (2001). Etz Hayim: Torah and Commentary. New York, NY: The Rabbinical Assembly. McGrath, Alister E. (1998). Historical Theology: an Introduction to the History of Christian Thought. Oxford: Blackwell Publishing. Middleton, J. Richard (2005). The Liberating Image: the Imago Dei in Genesis 1. Grand Rapics, MI: Brazos Press. ISBN 9781587431104. Ricoeur, Paul (1961). Translated by George Gringas. "The image of God and the epic of man". Cross Currents. 11 (1). Ratnaraj, Billa John (2003). The significance of the concept of imago dei for the theology of human rights in the writings of Jürgen Moltmann (Master's thesis). Calcutta: Serampore College. Stassen, Glen Harold (1992). Just Peacemaking: Transforming Initiative for Justice and Peace. Louisville, KY: Westminster John Knox Press. ISBN 0664252982. Washbourn, Penelope (1992). "Becoming woman: menstruation as spiritual challenge". In Carol Christ; et al. Womanspirit Rising: a Feminist Reader in Religion. San Francisco, CA: Harper Collins.